Something as simple as a coloring book may be used as a tool to introduce people to the racial diversity that existed in the ancient world. For centuries the whiteness of marble statues has led viewers to believe that the people represented were of a single race. What was overlooked was the fact that the whiteness of the marble statues was the perfect canvas for pigments and paints. Color could create a more authentic representation of the person depicted. In fact, in the ancient world, most statutes were painted. Through modern technology experts have begun to identify the colors of the paint applied to these durable canvasses – colors that include red, brown, yellow, black and even blue. 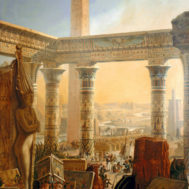 Enter the antiquities coloring book, in which each page has line-drawn objects to color along with academic and culturally explicit information about the objects and their cultural context. As Sarah E. Bond noted in her article, How Coloring Books Can Teach Us About Diversity in Ancient Times, a few coloring books have appeared in recent years that highlight the diversity that existed in ancient art and culture. Among these have been Classical Sculpture in Color: An Adult Colouring Book, Pigments of Your Imagination: A Color Restoration Book, and a coloring book published with the official catalogue for Copenhagen’s Ny Carlsberg Glyptotek museum’s exhibit Transformations: Classical Sculpture in Colour. 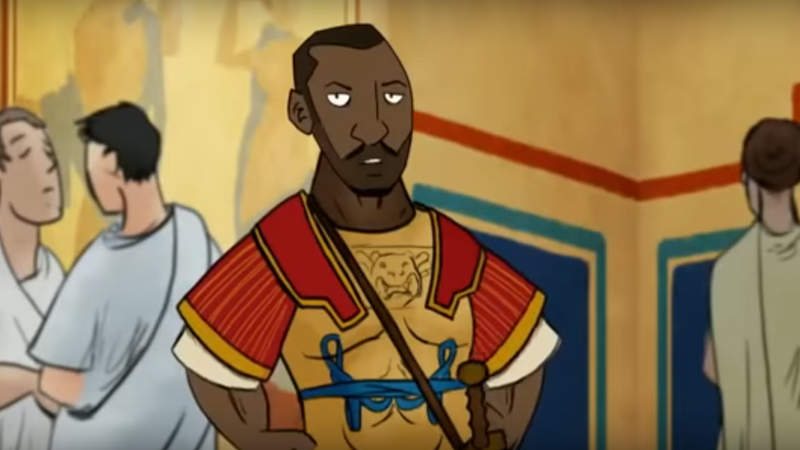 A recent controversy over a BBC cartoon depicting a high-ranking black soldier as the head of a “typical Roman family” illustrates one consequence of this long term oversight regarding racial diversity in imagery in the ancient world. Cambridge University Professor Mary Beard defended the depiction in the cartoon as being “indeed pretty accurate.” But there was also an angry public reaction – and criticism by Nassim Nicholas Taleb, who called Professor Beard a “member of the politically correct Gestapo.” A widespread Twitter attack on Professor Beard followed. 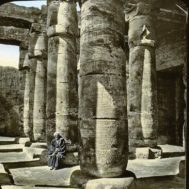 Sarah Bond in her article, Whitewashing Ancient Statues: Whiteness, Racism and Color in the Ancient World, and in other writings, has highlighted the point made by a number of historians that failing to acknowledge the historical polychromatic nature of marble statues has created misunderstandings. 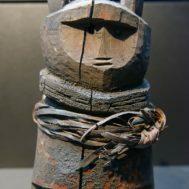 Intentionally or unintentionally, it has given rise to the idea that people in the ancient world were predominately white, in some cases reinforcing notions of white superiority and supremacy. These ideas have also put Bond in the middle of controversy, forcing her also to defend against threats and Twitter attacks. With diversity (and white-supremacy) so much in the news, it might be useful to pull out the colored pens and crayons and, with a bit of guidance from a well researched coloring book, delve into the rich multiculturalism that is mankind’s heritage.